Sold by the linear foot: 44.7" wide by any length you need, in one foot increments. Zinc sheet is Sold by the linear foot: 44.7" wide by any length you need, in one foot increments. 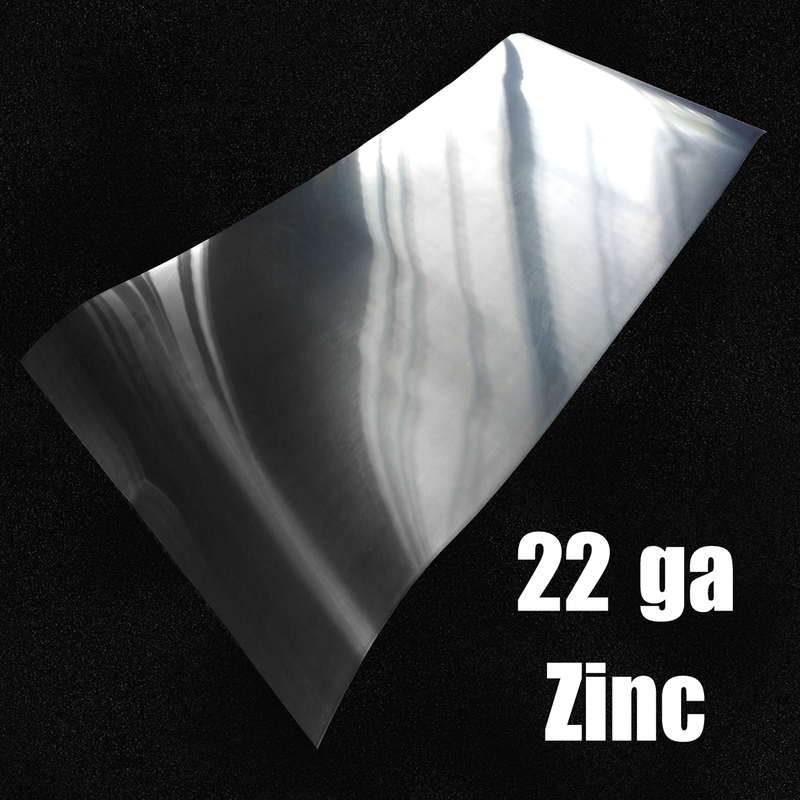 22 gauge (0.027”) Zinc Sheet is durable and will stand the test of time. Easily cuts with tin snips or a metal cutting shear. To give you an idea of how thick 22 Gauge is simply reach for your wallet and grab one of your credit cards. Our 44.4” Zinc Sheets are cut to custom lengths sold by the linear foot. 22 Gauge (44.4” Wide) Zinc Sheets weigh roughly 4.0 lbs per linear foot.